When Kindle started, the chiefs in the area where we work felt that their greatest need was health care. Malaria, HIV/AIDS, and various other illnesses were devastating the community to the point that people were attending funerals on an almost weekly basis. 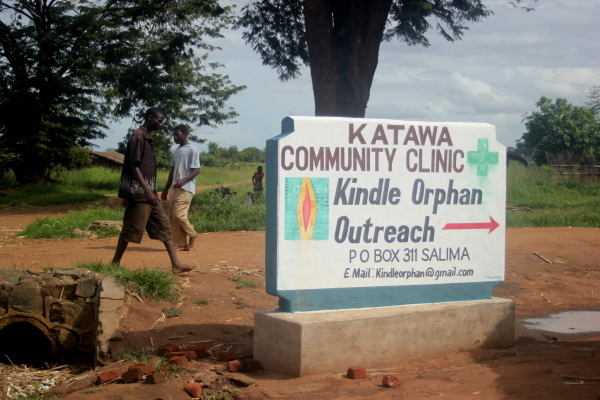 Katawa Community Clinic was born from the desire to provide quality health care at an affordable price, and now provides a variety of health-related services to 200+ people every day. Patients begin arriving at about 4:00 in the morning, receiving numbers from our night guards. Every night the guards at the clinic prepare number cards for the first 150 patients to arrive, and in the early morning hours people begin arriving. By dawn most of the numbers have already been taken, and by the time the clinic opens at 8:00 all of the numbers have been distributed and only emergency cases will be seen. The day at the clinic starts with a short Bible devotion or sermon led by a member of staff or a leader of one of the local churches. Then there is a short time of health teaching on any of a variety of topics: HIV/AIDS, recognizing diseases, preventing diseases, how diseases are spread, deciding whether you should come to a clinic, using condoms, etc. Finally there is a general orientation to the operation of the clinic: wash your hands with soap that is provided here, toilets are in the back (the picture with trousers is on the men’s toilet, the dress is on the women’s), line up according to the numbers on your cards, have your health record book ready, and so on. The clinic doors open around 8:30, and people begin filing in. They start with the registration desk where they pay a flat fee of MWK 250 (approximately USD 0.40). Then they wait to be called into one of the two exam rooms where they will be seen by one of our two clinical officers. The most prevalent disease by far is malaria. 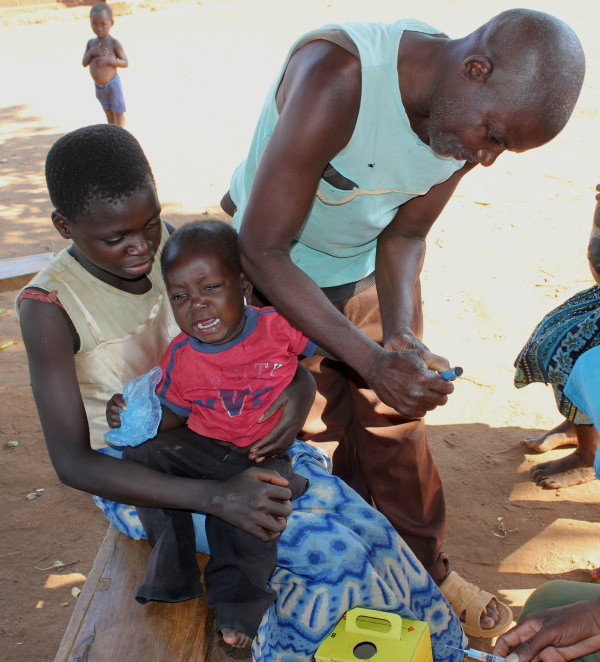 In 2014 more than half of the children who came to the clinic had malaria, and the number is not much lower for adults. After initial evaluation the patients are usually sent to either the malaria testing room (yes—there is a room set aside just for malaria tests, because about 1/3 of all patients coming to the clinic have malaria, even in the dry season! ), to the injections room, to the procedure room for bandaging wounds, or to the pharmacy. After the initial MWK 250 fee there is no further charge for any of these services. Testing and treatment for most diseases is available at Katawa, and we have three beds for critically ill patients. We do not provide overnight service, so patients who have not recovered well enough to go home by the end of the day are taken to the district hospital. 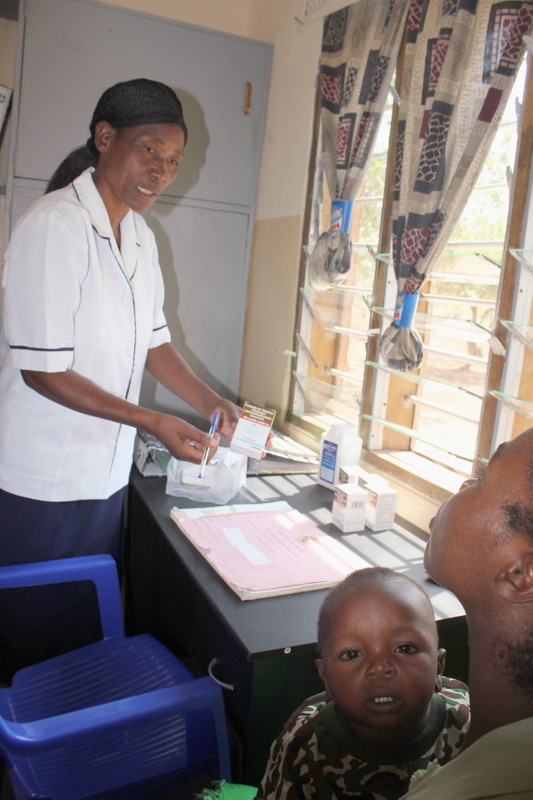 Katawa Community Clinic has provided free HIV Testing and Counseling, and in November 2014 we were approved as a distribution centre for antiretroviral drugs. So we now provide free and confidential HIV testing, counseling, and treatment. 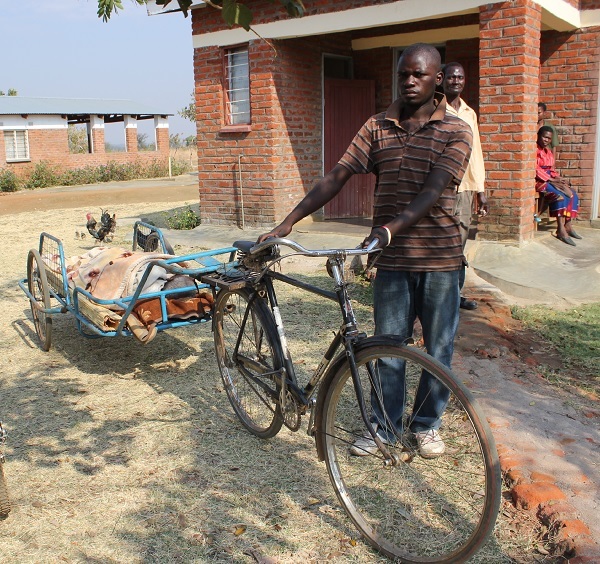 Malawi has an HIV infection rate estimated to be around 11% (UNICEF, 2012). Teaching about HIV and AIDS is an important part of everything we do at Kindle, not just at the clinic. We teach about it in our youth groups and family life groups, and it is incorporated into many of the trainings that we do with chiefs and church and community leaders. 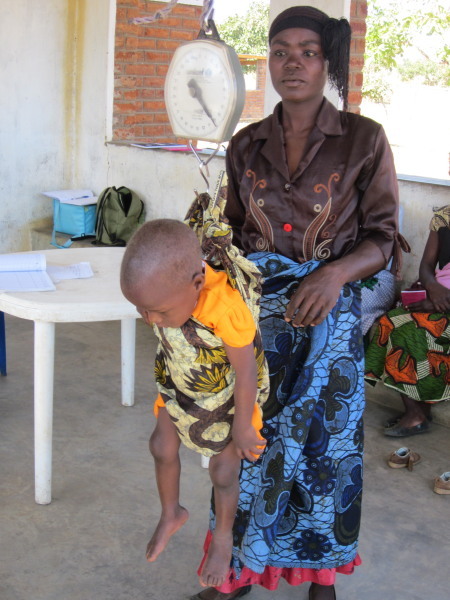 Two days per week we also operate a nutrition clinic at Katawa for malnourished children. The nutrition clinic features a demonstration garden where we grow nutritious foods and a kitchen where fortified maize porridge is prepared. 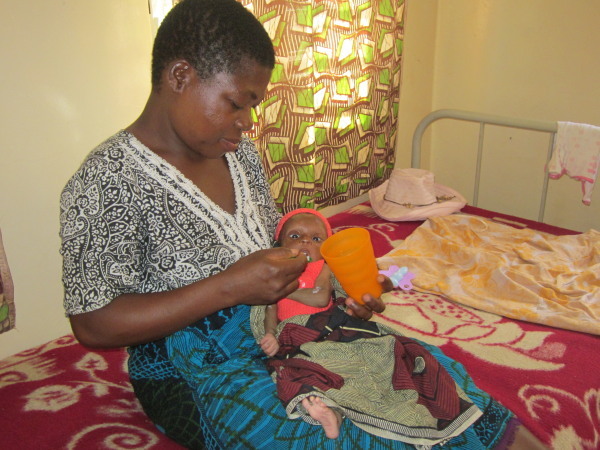 Usually they begin coming to Katawa as young children whose mother died during childbirth or twins whose mother can’t produce enough milk to feed them both. 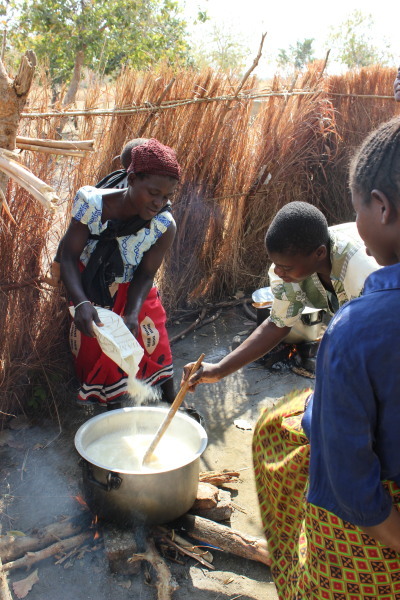 For children under six months of age, they are provided with infant formula and their guardian is taught how to prepare it, and the importance of boiling the water first if it did not come from a protected source. The guardians of the children between 6 months and five years are taught about the importance of a balanced diet and how to prepare nutritious foods, and they cook some of the maize porridge and feed it to the children. Each child goes home with enough food to last for two weeks. The Nutrition Clinic is a joyful place as mothers watch their little ones grow healthier week by week. When a child in critical condition (often due to malnutrition) is brought to the clinic, they are brought to our Critical Care Unit at Miriam House, at our Nanjoka Project Site roughly 3 km away from Katawa Clinic. There the child is kept under constant supervision, the guardian is taught to care for the child, and food and medicines are provided. 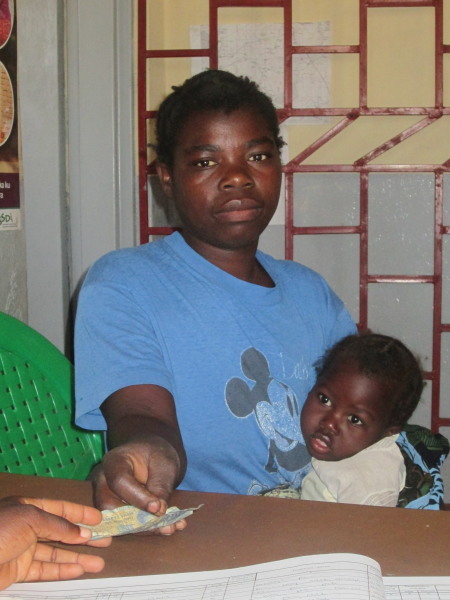 Typically a child and their guardian will stay at Miriam House for 2 – 6 weeks, until the child is strong enough to return to the village and the guardian understands how best to care for the child. Home visits are then conducted to help address underlying problems in the child’s home and village and to make sure that the child continues to thrive. 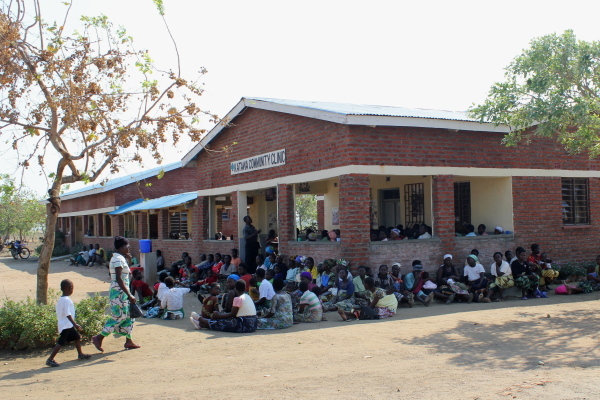 Next to the main building at Katawa Community Clinic is our Under-5’s Clinic. This is where guardians bring children for growth monitoring and vaccinations. Most of the staff at this part of the clinic are Health Surveillance Assistants, government employees with training in community health. The Health Surveillance Assistants posted to Katawa provide injectable, implant, and oral methods of birth control to women who bring children to the Under-5’s Clinic. Additional services are provided on a monthly basis at Katawa by Banja La Mtsogolo, one of our partner organizations. They offer tubal ligations, vasectomies, and male and female condoms. We also provide prenatal services at Katawa, but as yet we are not able to offer maternity services. 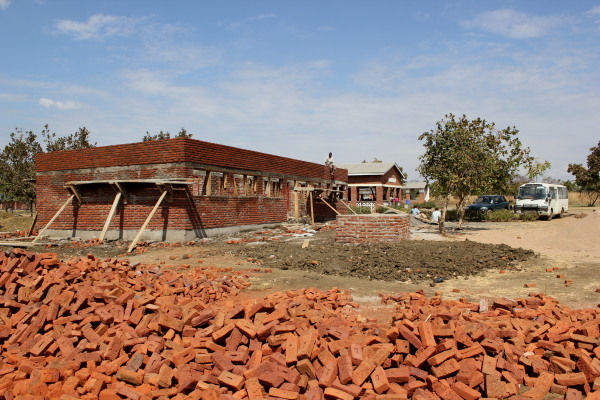 The chiefs in our area have already started molding bricks for a maternity ward, and it is our hope that in the near future we will find partners who are interested in providing funding for the construction. This much-needed facility will help lower the high incidence of deaths of mothers and babies during childbirth. Kindle also provides Community Health Teaching and Home-Based Care. 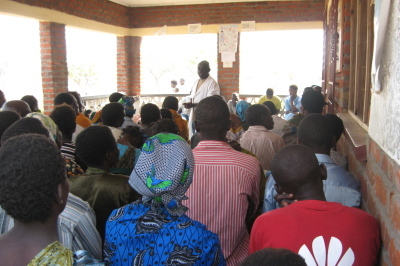 In the village communities, Katawa staff members are involved in teaching about basic personal and home hygiene, sanitation and water, prevention of common illnesses, AIDS prevention, and many other topics. We participate in many government-sponsored health awareness campaigns. And we also set up temporary clinics for immunizations at various times each year. They also bring hope, encouragement, good cheer, and medicines to patients in their homes. Through all of these health-related ministries, our dedicated staff seeks to share the love of Christ both in teaching and by living example.